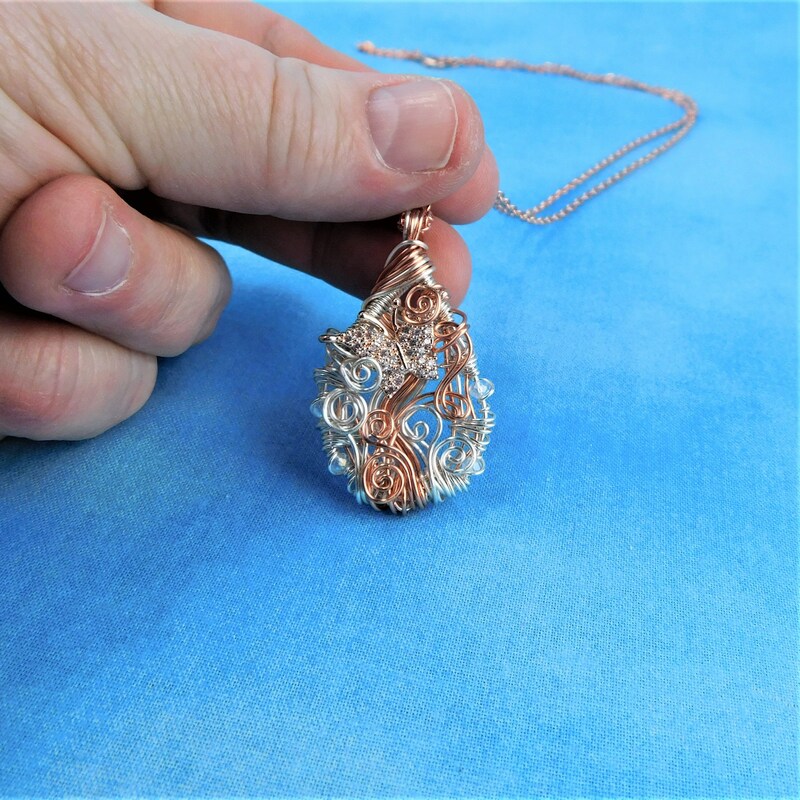 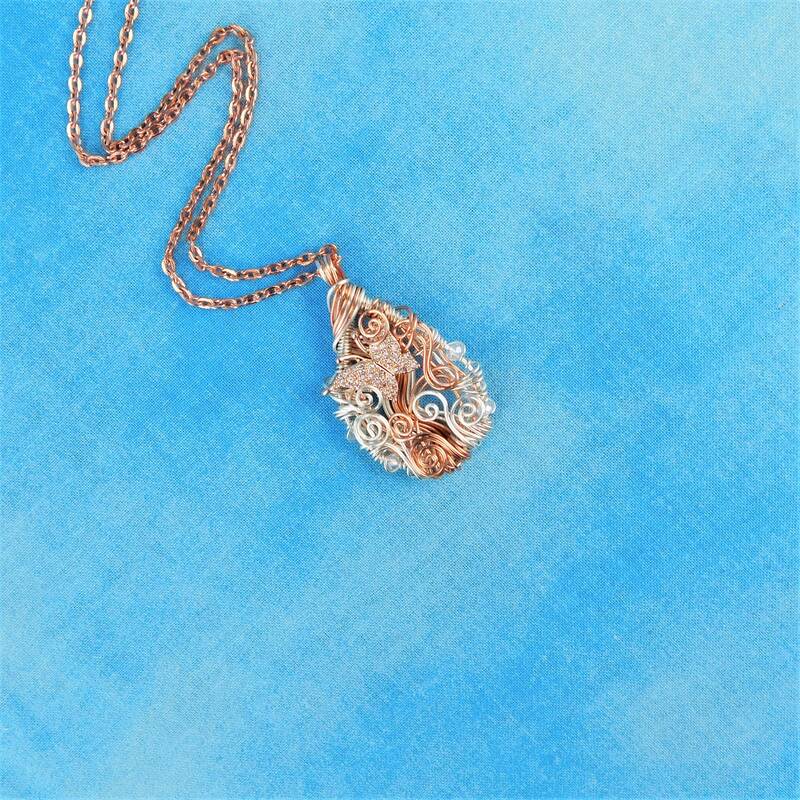 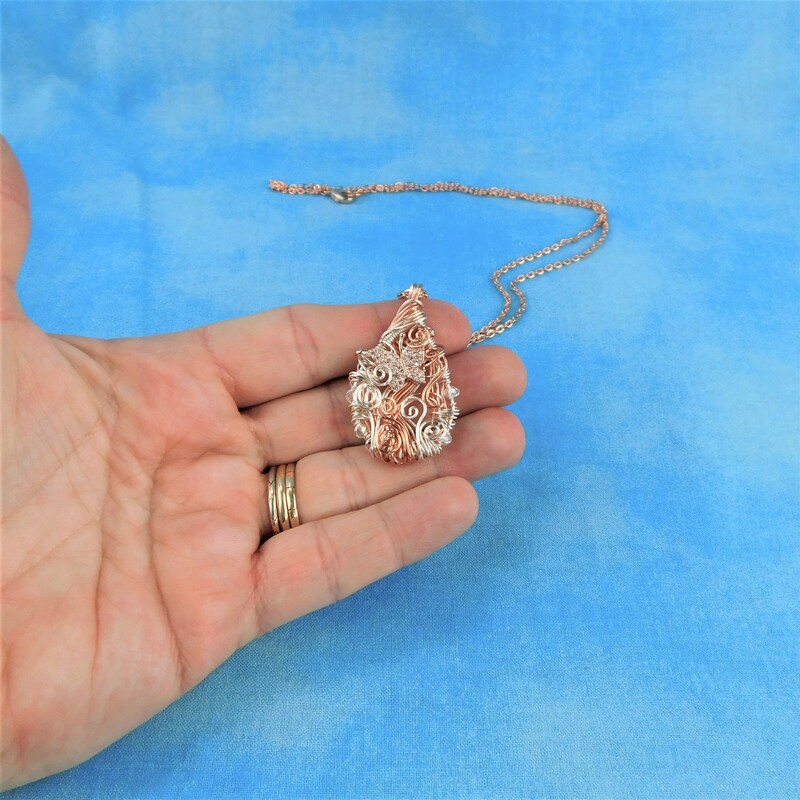 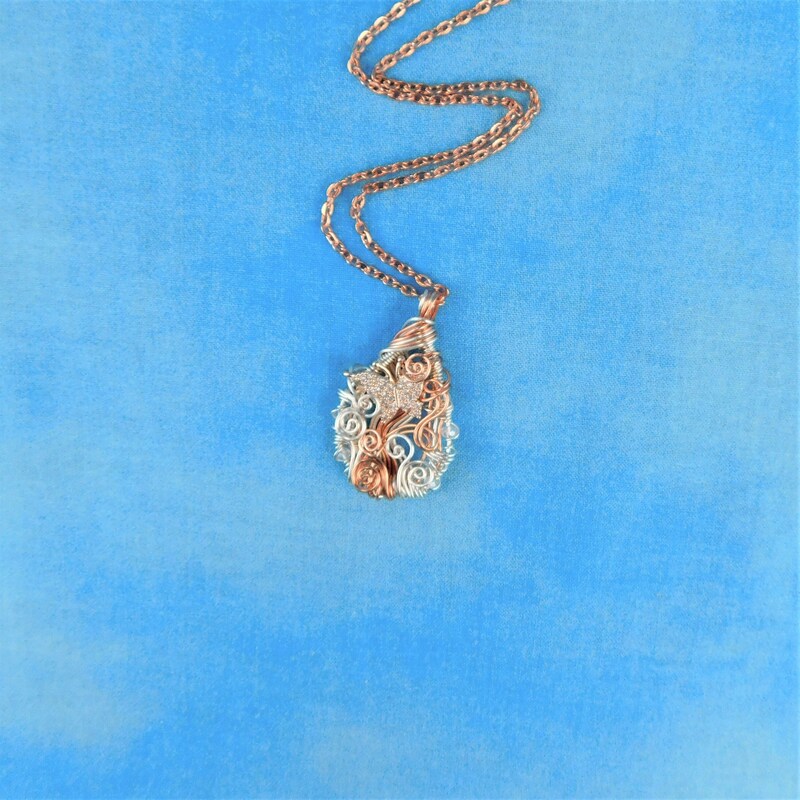 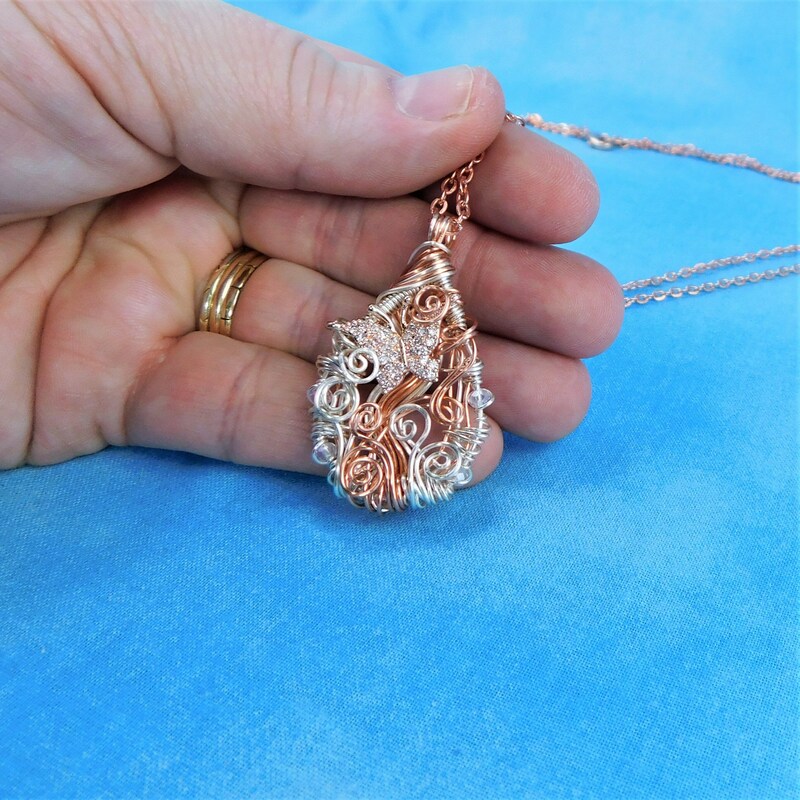 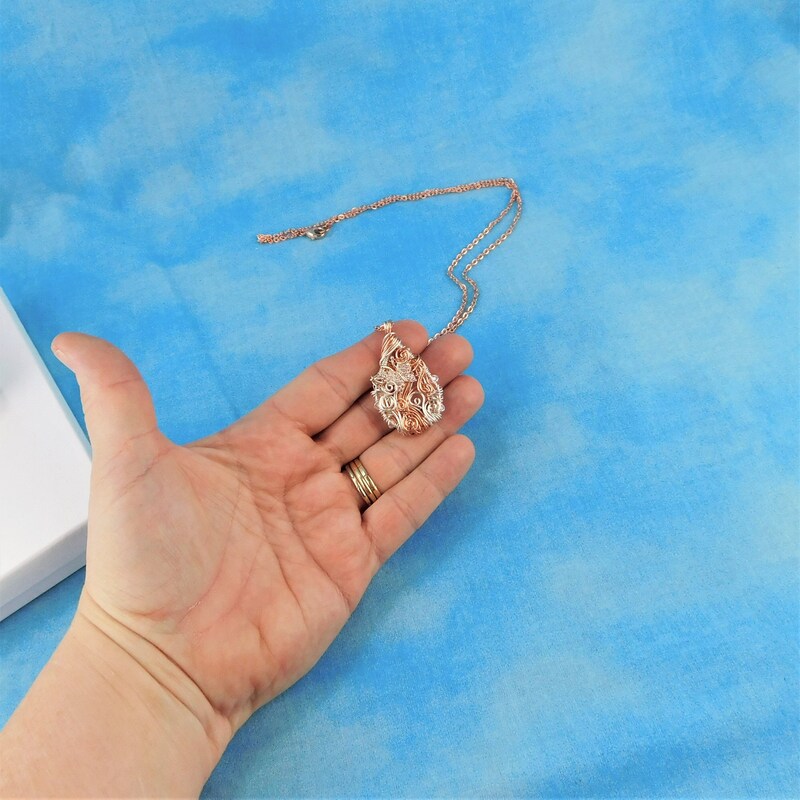 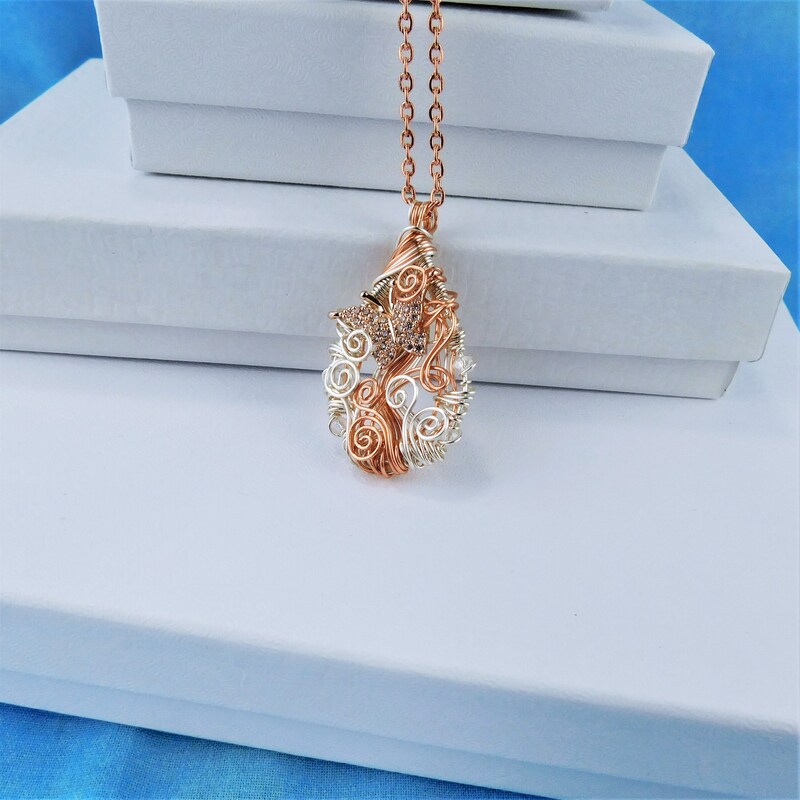 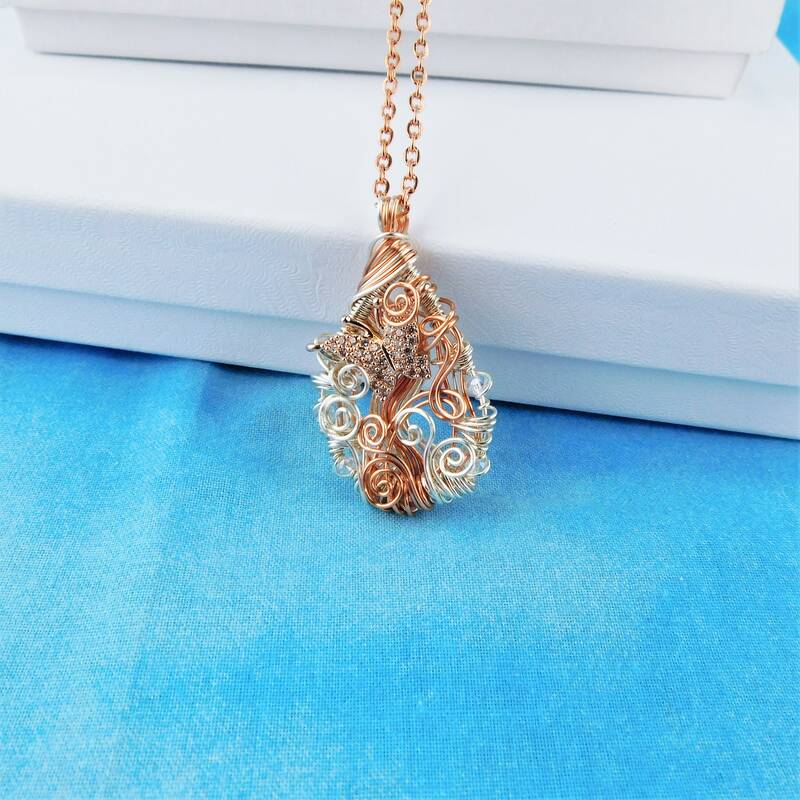 Rose Gold and fine silver colored non tarnish copper wire is meticulously woven and sculpted into pendant with a cubic zirconia encrusted rose gold colored butterfly accent. 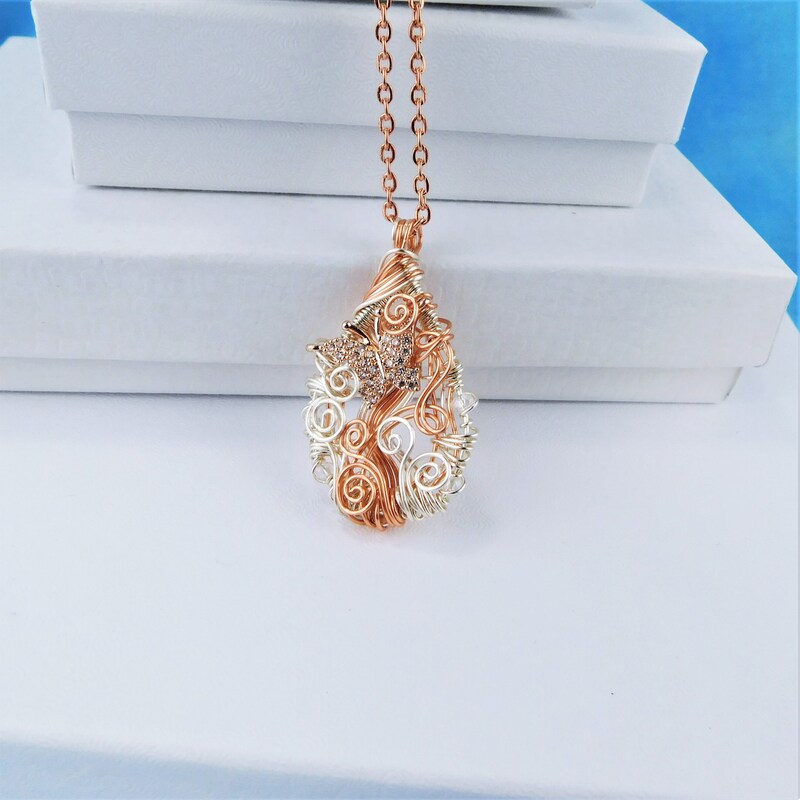 The butterfly floats within leaves and vines of sculpted wire, and the flashes of cubic zirconia shine through. 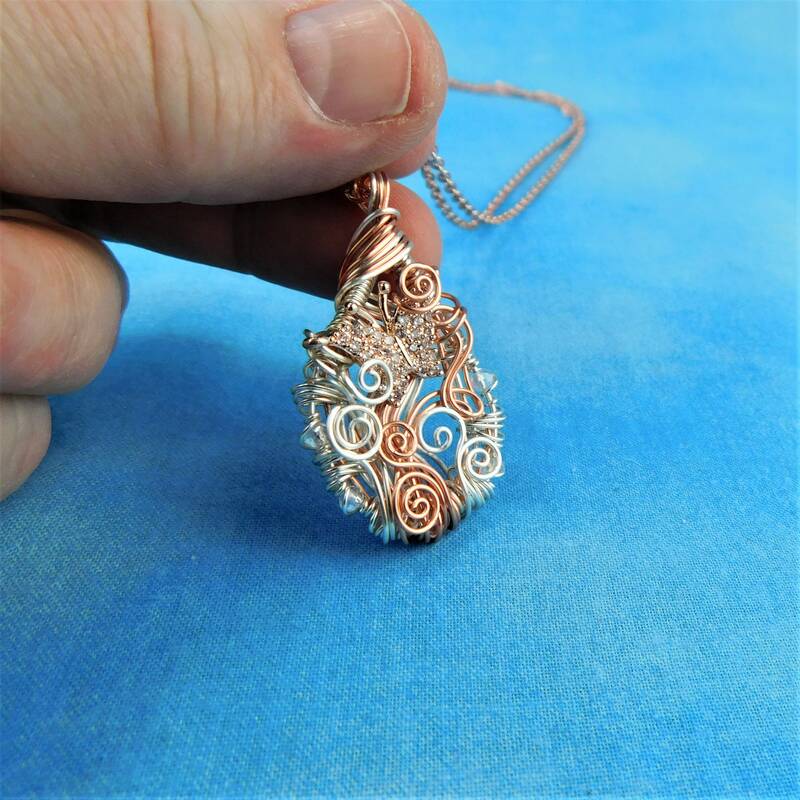 The pendant measures 1 1/2 inches by 1 inch.